The location of the Isle of Skye in the warm gulf stream as well as the influences of the strong Atlantic wind, have created a unique landscape, even for Scotland. With a mountain range in the south and desolate rolling hills in the north, Skye has enough to offer the adventurous type. From an easy walk in the park to a strenuous full-day hike. With a population of around 2500, Portree is the largest settlement on the Isle of Skye. The small seaside town is a perfect starting point to explore Skye; with plenty of restaurants, shops and possibilities to stay overnight. 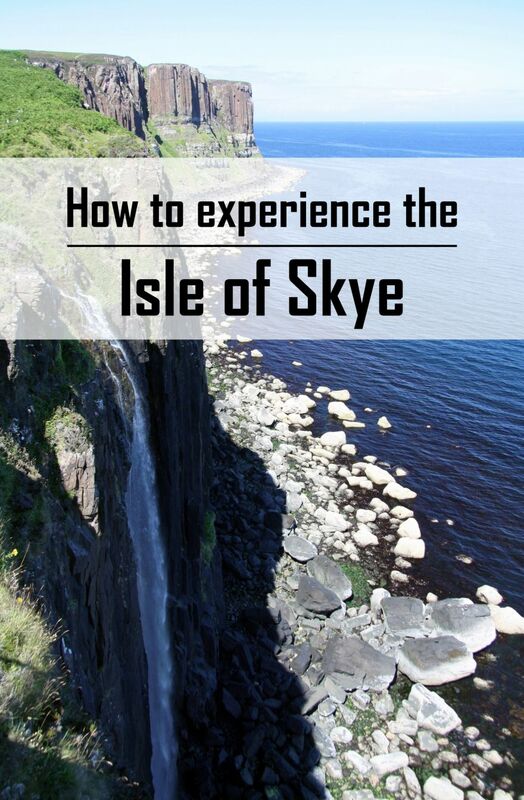 Thereby, the whole Isle of Skye is within an hour&apos;s drive from Portree. From Portree, we drove north towards to our first sight: the &apos;Old Man of Storr&apos;. Storr is one of the distinctive hills on Skye. 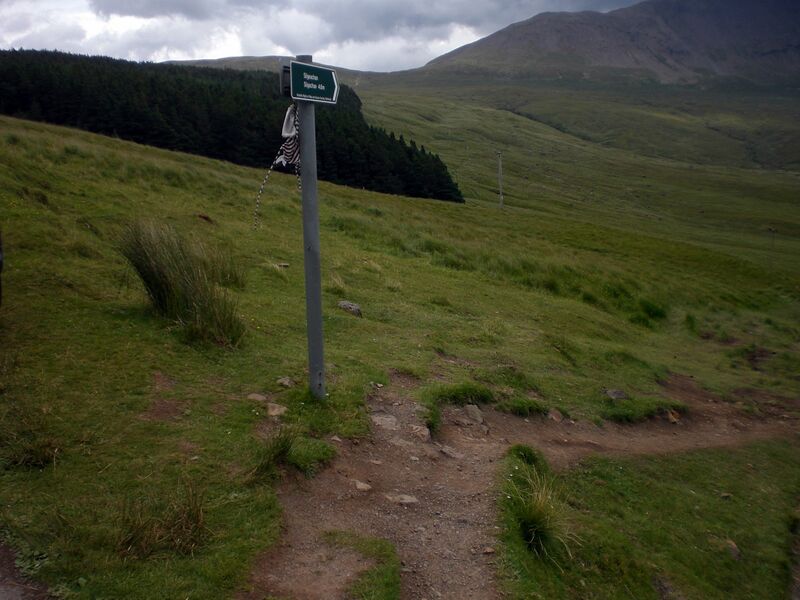 From the main road, you can follow a trail straight to cliffs of Storr. Although you could walk to top of these cliffs, we only walked in the &apos;Sanctuary&apos;, the area below the cliffs. 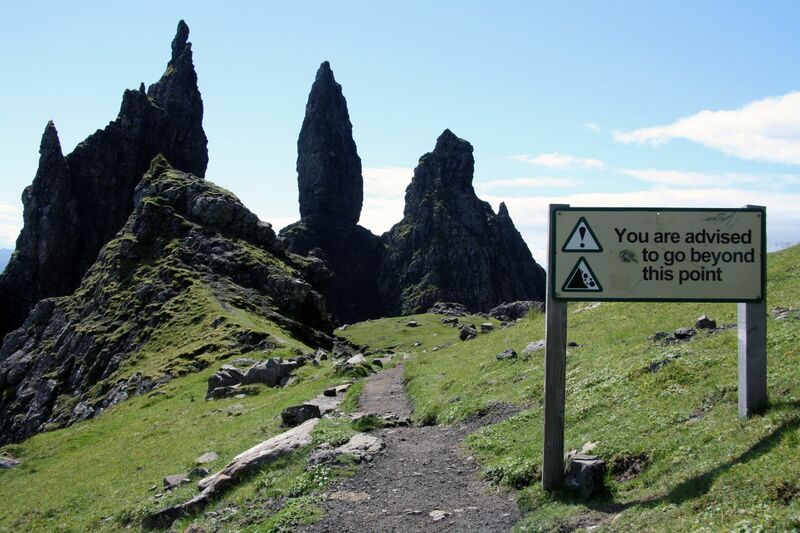 This is also the location where you will find some of the pinnacles, like the &apos;Old Man of Storr&apos;. We continued up a slope close to the &apos;Old Man of Storr&apos;, from where we had an amazing view over the entire area. Our next stop, just a few minutes further down the road, was the Mealt Falls. Loch Mealt is a fresh water lake right at the edge of Skye. 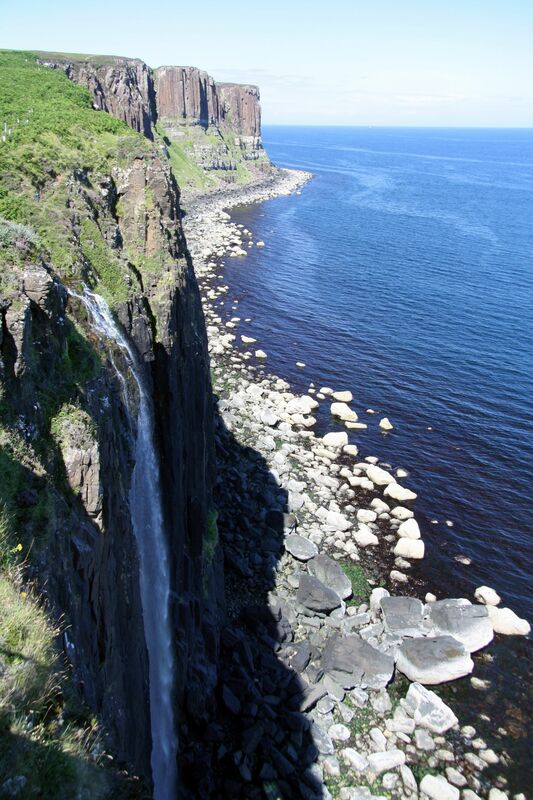 Via a small stream, the water from Loch Mealt flows to the edge of the 55 meter high cliff before tumbling down into the Atlantic Ocean. 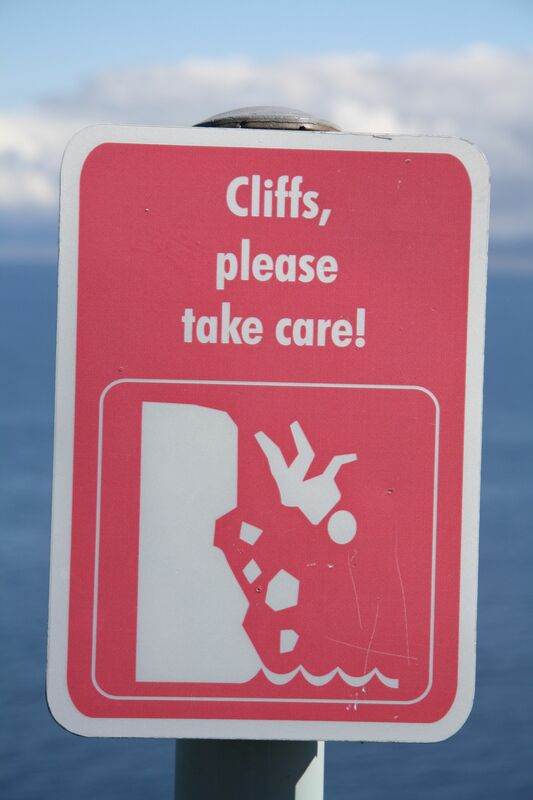 There is a viewing platform at the edge of the cliff very close to the parking area. Amazing to see a waterfall falling down into the ocean. After visiting the Mealt Falls, we continued north. We passed some small villages, that are not even actual villages. Just a bunch of houses, that are not really worth to be called a village. The next stop we made was near Uig: the Fairy Glen. A landscape that has many similarities with the houses of the Teletubbies. Beautifully rolling hills as far as one could see. 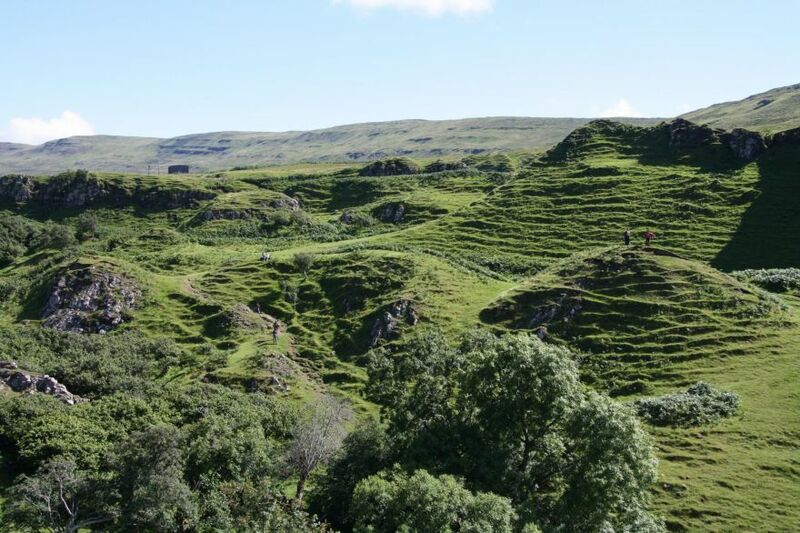 You don&apos;t have real hiking trails at Fairy Glen, but you can wander around and climb some of the hills. We climbed one of the highest hills in the areas: a narrow path brought us to a small area on top of the hill, just large enough for three to four adults. The view was, again, truly amazing. After making our descend to the car, we continued our road trip on the Isle of Skye. Next stop: Dunvegan Castle. But as we were already touring through Scotland for about two weeks, we had seen a reasonable high amount of castles already. 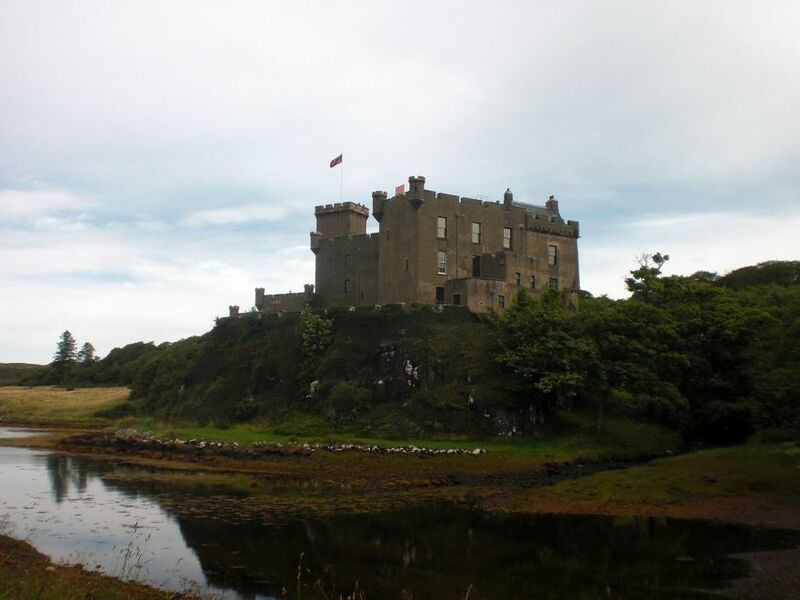 Nonetheless, we visited Dunvegan Castle, which is a pretty castle indeed, but it still is a castle. Nature was calling, so we headed outside quickly and continued our drive along the Isle of Skye. We passed a few more tiny fishing villages before finally arriving at the Fairy Pools. Well, not really, we had to walk the last 1.2 kilometer to the pools itself. This was an easy hike along a small stream. 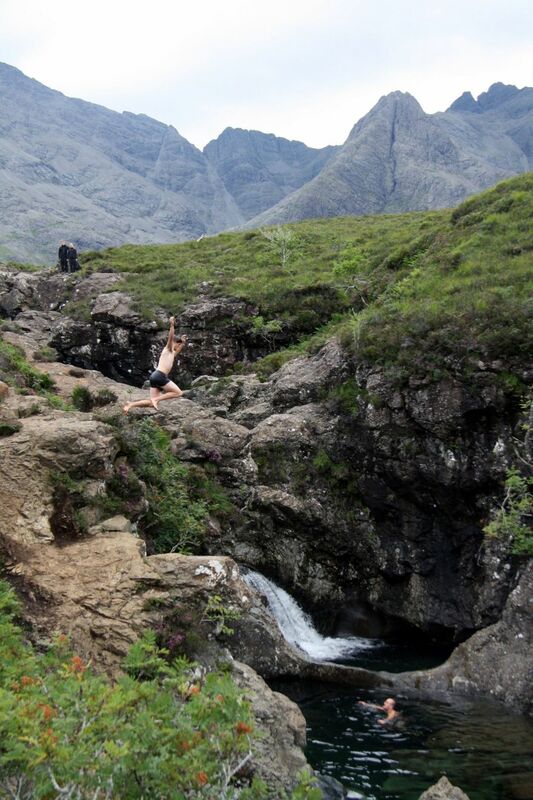 The Fairy Pools are located at the foot of the Cuillins and are absolutely stunning. The pools are deep enough to be able to jump in from the cliffs above. Because of the cold, there was not a single moment that we even considered getting in to the water. Luckily some brave men were willing to take a jump, allowing us to take some action photos. Instead of hiking the same trail back to the parking lot, we continued and followed the trail upstream. Eventually, the trail turned left and slowly turned in the direction of the parking area. An easy hike, but because barely anybody made this hike we were walking here alone, instead of the crowd that visited the Fairy Pools. 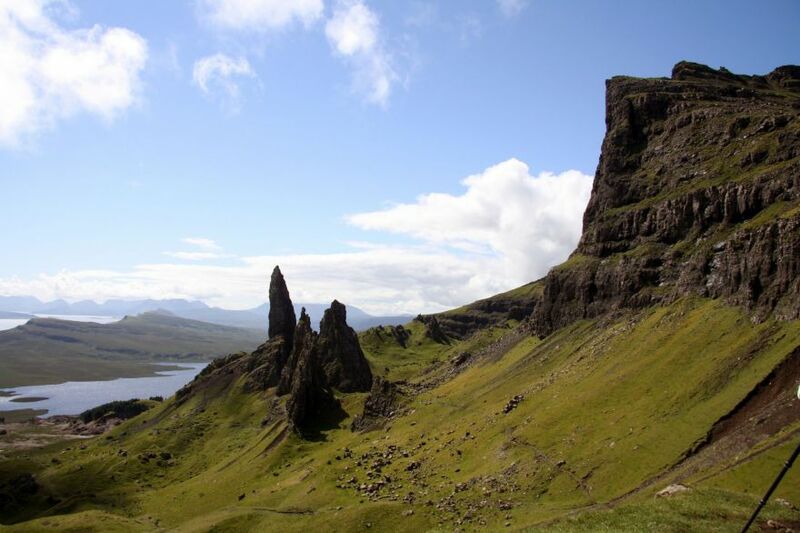 Although there are other highlights too see at Skye, there were also other sites in Scotland waiting to be explored. We therefore continued our road trip through Scotland after having visited the Fairy Pools.